Edition includes all three volumes of the series. 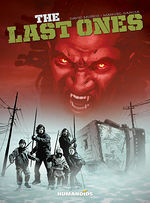 A post-apocalyptic road movie tale where Earth has been turned into a vampires' hunting ground. 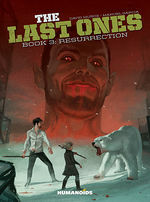 Written by horror maestro David Muñoz (Guillermo del Toro’s "The Devil’s Backbone", "Whispers in the Walls") and drawn by Manuel Garcia, this moving, yet brutal, tale of friendship and survival leaves bite marks on the neck and frostbite on the soul. 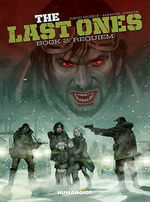 If you're into the vampire genre, you're going to enjoy this novel.